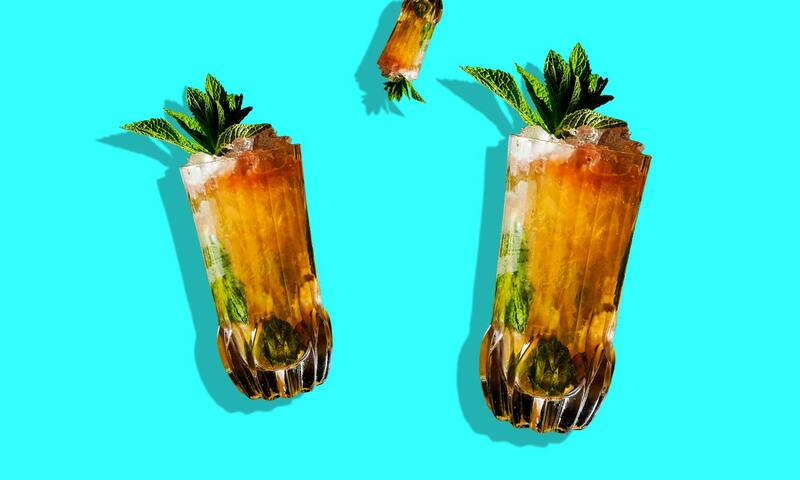 The Queen’s Park Swizzle is what we’ll be drinking this summer. There are many types of Swizzle — there’s a Green Swizzle, which incorporates gin (or white rum) and wormwood bitters; the Barbadian Swizzle, made with genever (as it would have been back in the day); and the drinks we’ve presented here. The Queen’s Park Swizzle is perhaps the flagship Swizzle. Said to be created in the late 1800’s at the Queen’s Park Hotel in Trinidad, the drink was made with big, fragrant dark rums from Guyana, known as Demerara rums. This drink comes from Trinidad, and employs a famous Trinidadian in its recipe: Angostura aromatic bitters. It’s a refreshing, fun and easy to drink cocktail tailor-made for a warm climate, and has been described as kind of like being the bartender’s Mojito. You’ll want to use a rum with plenty of character in this drink, all the better for standing up to all that crushed ice. Whatever you do, though, don’t skimp on the bitters. Build with crushed ice in a highball glass and swizzle.